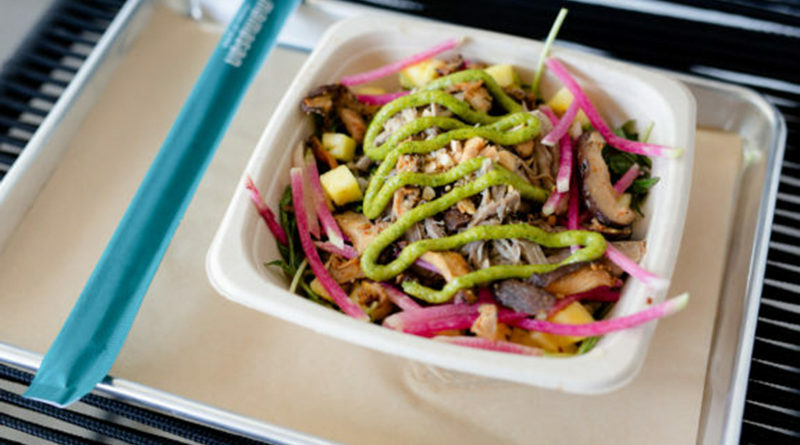 Just a hop, skip, and a jump over the 75, a new fast-casual restaurant is taking its spin on the uber-popular tradition of the Hawaiian poké. Unique to the concept, Mamasan House of Poké shies away from the “build-your-own” format and instead offers 13 signature dish options served in a bowl or roll. Five categories of protein include seafood, chicken, pork, beef, and veggie – truly offering something for everyone. Mamasan also offers a selection of crave-worthy sharable plates including Poké Nachos with ahi tuna, wonton chips, watermelon radish, avocado, spicy mayo, green onion cilantro pesto and Tempura Green Beans with shichimi, wasabi, and spicy mayo. Guests can also opt to sweeten things up or bring the heat with a stop by the Mamasan sauce bar. Poké options include Ahi Tuna with daikon, arugula, cashew and Hawaiian Red Sea salt; Yellow Fin with pineapple, napa cabbage, peanut sauce, mint, and cilantro; and Shrimp Tempura with asparagus, carrot, snow peas, sesame, and spicy mayo. Non-seafood highlights include the Chicken Karaage, served with baby kale, cucumber, lime, watermelon radish, and spicy mayo. Vegetarians will delight with delicious options like the Vindaloo Jackfruit with cucumber, scallions, mint, mango, and snow peas. On the beverage side, the concept’s focus is tea – offering a variety of 12-hour cold brew teas inspired by the essence of Japan. Additional beverage options include beer on tap, canned wine, saké and Mamasan’s signature frozen drink – a tropical piña colada-like cocktail that packs a serious punch with vodka, rum, pineapple juice and coconut milk. Located at 2818 N. Fitzhugh Ave., the space, designed by Dallas based Plan B Group, boasts a clean and modern interior with elements of steel, concrete, and timber throughout. Natural light and pops of bright subway tile give an airy and inviting feel to the restaurant. Housed within the walls of a former bank, Plan B’s architectural vision was to keep the integrity and form of the building intact. Using the porte-cochere of the former bank’s drive-through, the design team created a large, inviting patio using a unique black gravel as the flooring with seating for 60. Additional elements, such as a custom fire pit and misting fans create an ideal spot for guests to linger from day to night, year-round. Mamasan is open from 11 a.m. to 10 p.m. Sunday through Wednesday and from 11 a.m. to midnight Thursday through Saturday.